SCVHistory.com LW2789 | Film-Arts | Nancy Gates in 'Suddenly,' Newhall-Saugus 1954. 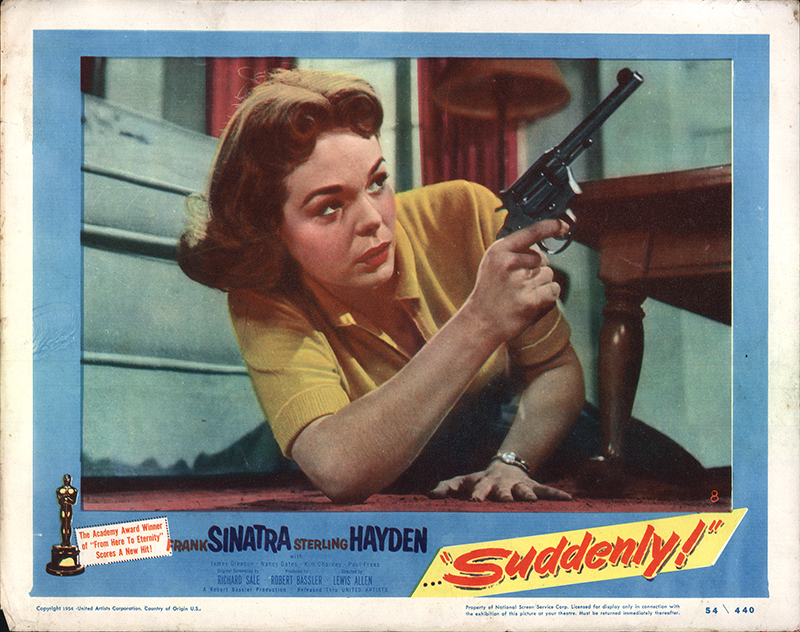 Nancy Gates (as Ellen Benson) in the dramatic conclusion to "Suddenly" (United Artists 1954), starring Frank Sinatra and Sterling Hayden. LW2789: 19200 dpi jpeg from original lobby card purchased ~2014 by Leon Worden.